This evidence-based approach has consistently shown positive outcomes in dealing with resistance and defensiveness. It has been successfully used with populations where resistance is prevalent, including adults and adolescents who deal with legal problems, substance abuse and mental health issues. Motivational Interviewing provides a “tool box” of techniques and strategies which will help you to be more effective in working with clients who bring a wide range of challenges. This is a two-day training. Presenter: Avani G. Dilger, MEd, MA, LPC, BC-DMT, CAC III, is a Licensed Professional Counselor, a Certified Addiction Counselor, a Somatic Psychotherapist, and a Motivational Interviewing Trainer (MINT), who specializes in substance abuse prevention and treatment with adults, teens and their families. She is the founder and director of the “Natural Highs – Healthy Alternatives to Drugs & Alcohol” nonprofit program, an integrative substance abuse prevention and intervention program that includes interactive workshops, a peer mentor program, and community outreach. In addition to teaching the Natural Highs program at several high schools in Boulder and at Naropa University, Avani works as a substance abuse counselor and trauma therapist with teens, families and adults in Boulder. 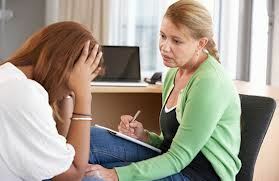 She is a member of the Motivational Interviewing Network of Trainers (MINT) and trains Motivational Interviewing for criminal justice, mental health, and substance abuse professionals. She has been training professionals in in Motivational Interviewing and other evidence-based practices in Maine, Massachusetts, Illinois, Nebraska, Idaho, Arizona, New Jersey, Florida, Hawaii and Colorado.